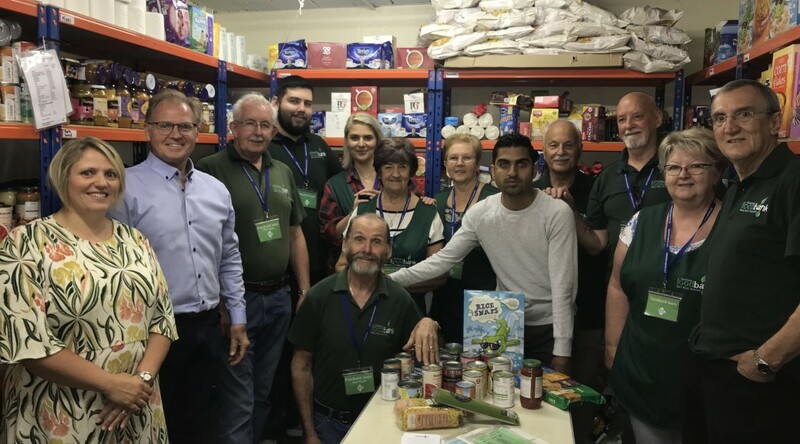 It was the final day of fundraising on Monday for our chosen charity, the Wallich, who do great work with homelessness in the local area. 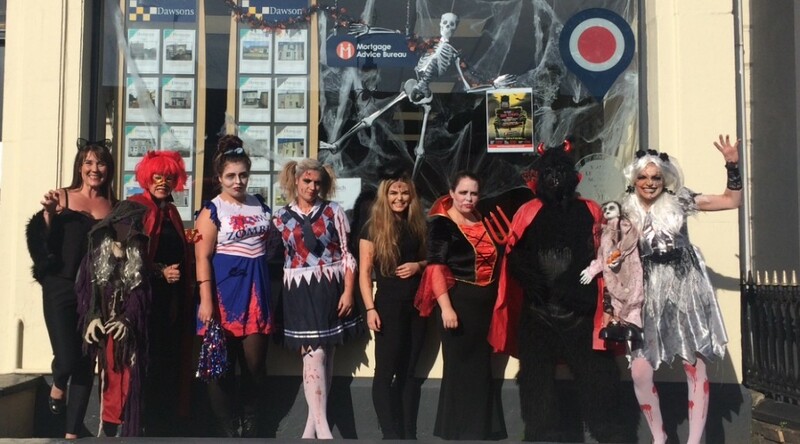 Staff at all Dawsons branches had a dress-down/fancy dress day with competitions for the best looking branch and the best dressed individual. 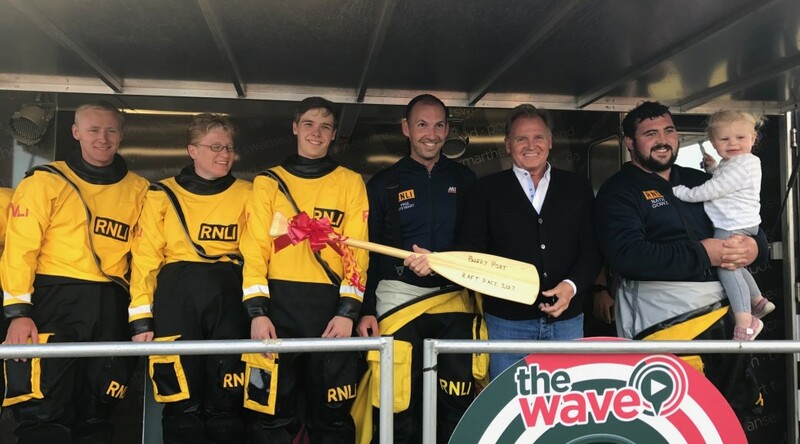 The branch winner was Llanelli. and Lorraine Evans from Swansea. 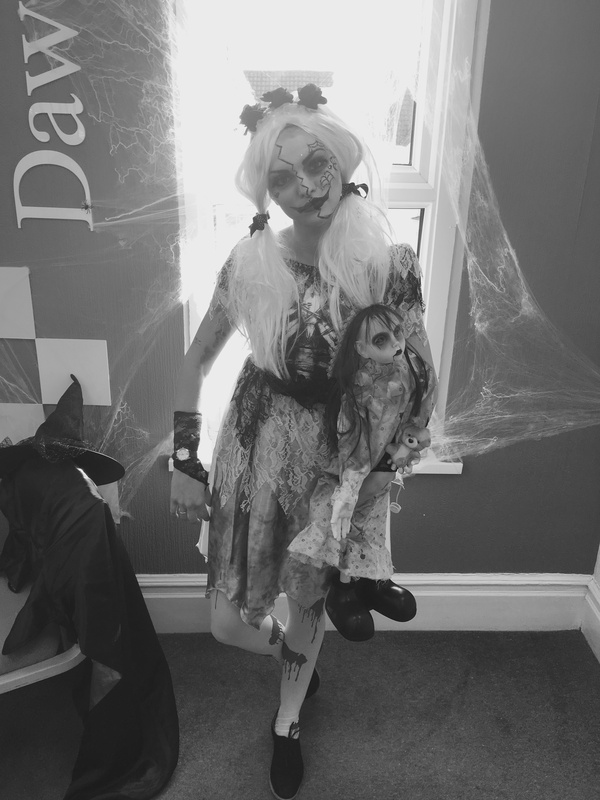 However, the overall winner of the best dressed prize was Kirstie Morgan from Llanelli Lettings with her terrifying corpse bride robot baby concoction! 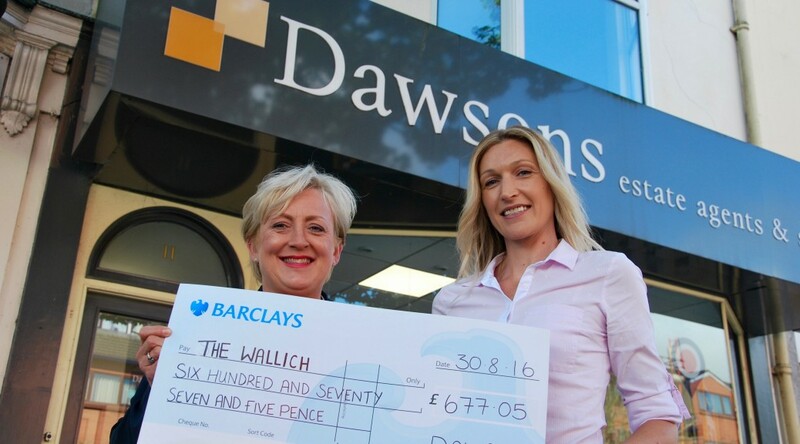 Dawsons Estate Agent has presented a cheque for £677.05 to The Wallich, a homeless charity with several shelters in Swansea. 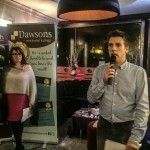 This brings the total amount Dawsons has raised since March for The Wallich to more £1,300. 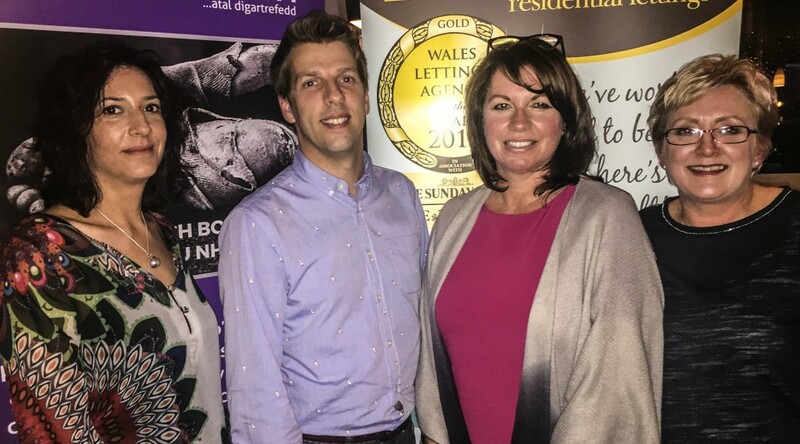 Dawsons’ staff selected The Wallich as the company’s charity of choice for 2016, which sees the estate agency celebrate its 25th anniversary. 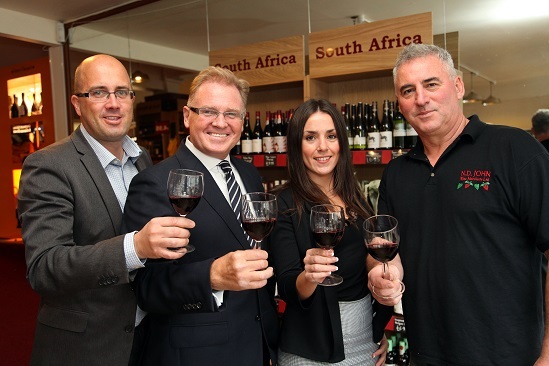 “We are absolutely delighted with the amount of money raised so far by the team at Dawsons. 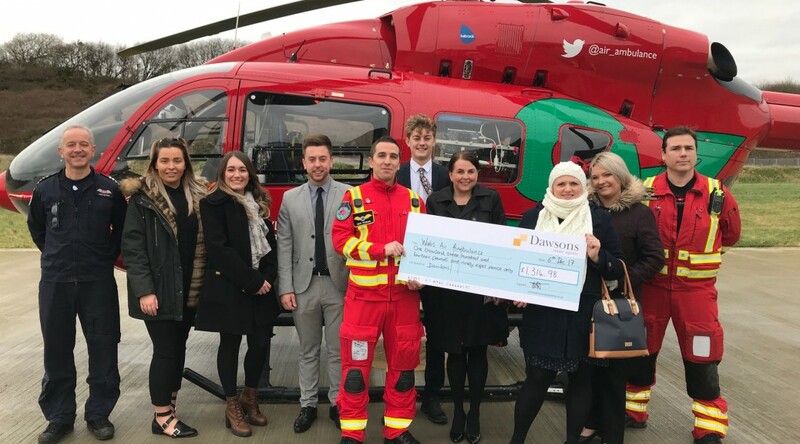 Their fundraising activities have been varied and fun and it’s been wonderful to see each branch get so involved,” said Zoe Westerman, Corporate Strategic Relationships Manager at The Wallich, who received the cheque on behalf of the charity. 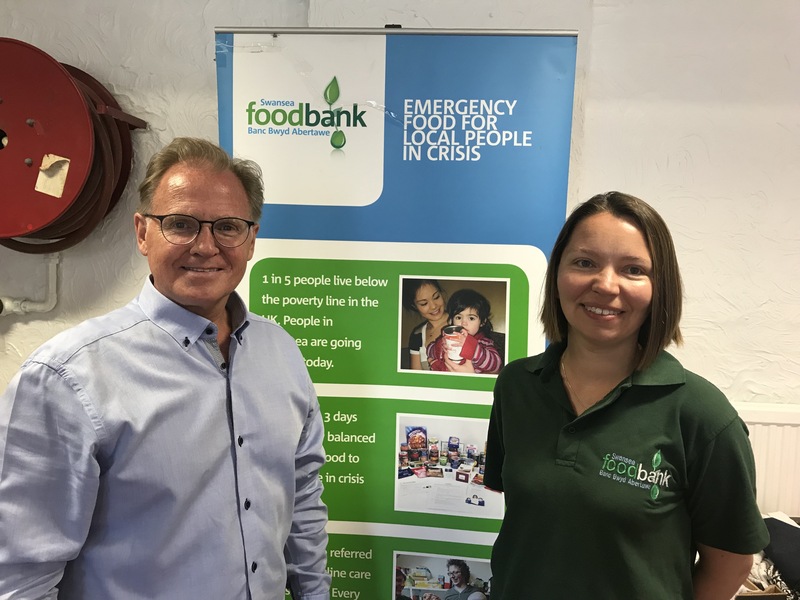 The cheque was presented by Joanne Summerfield-Talbot, Director of Residential Sales. 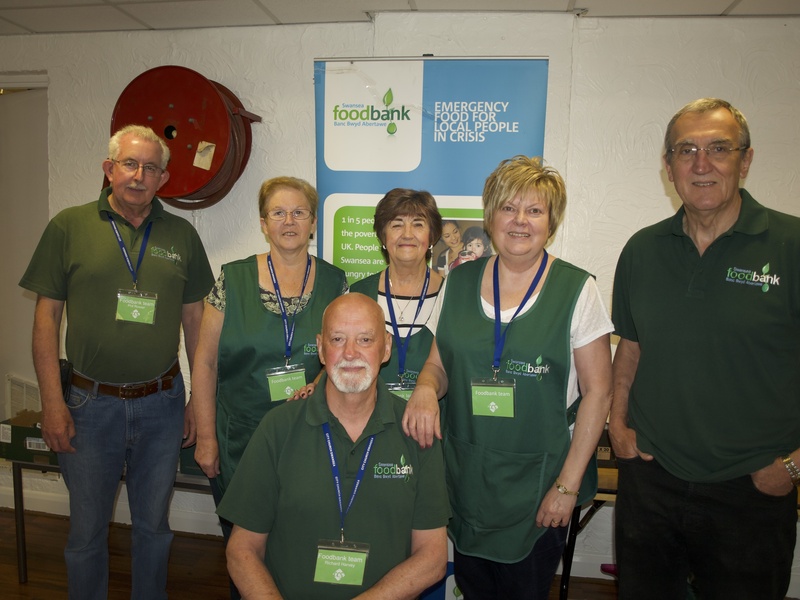 “The money was raised as a result of our Wimbledon Day and our Euro Sweepstake,” said Joanne. 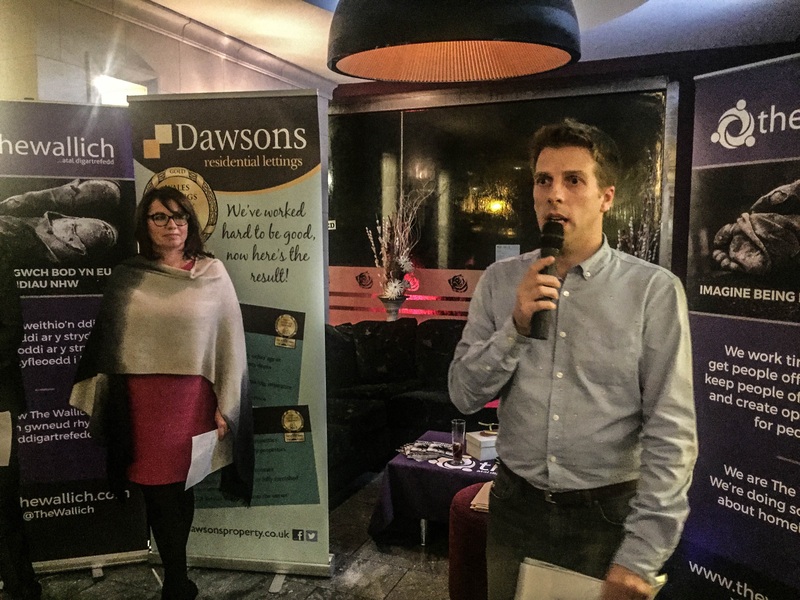 Dawsons’ fundraising efforts for The Wallich will continue until March 2017. CHARITABLE staff at Dawsons Estate Agents in Llanelli have raised more than £150 for Children in Need by coming to work in their pyjamas. The office staff greeted clients wearing onesies and night wear. Dawsons had looked to make £150 from the day but exceeded expectations by raising £182.35. 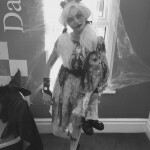 Lorraine Evans, Dawsons Branch Manager said: ‘’Dawsons are proud to support BBC Children in Need. “The team came up with the idea of holding a pyjama day only two days before and managed to pull everything together.